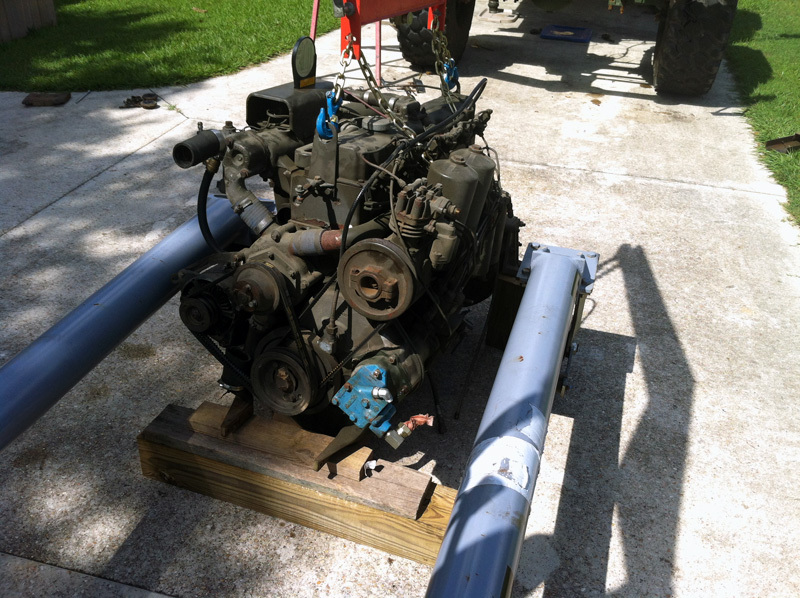 In order to replace the factory multi-fuel engine and Spicer 3053A manual transmission out of the deuce with something better I will need to remove them first! 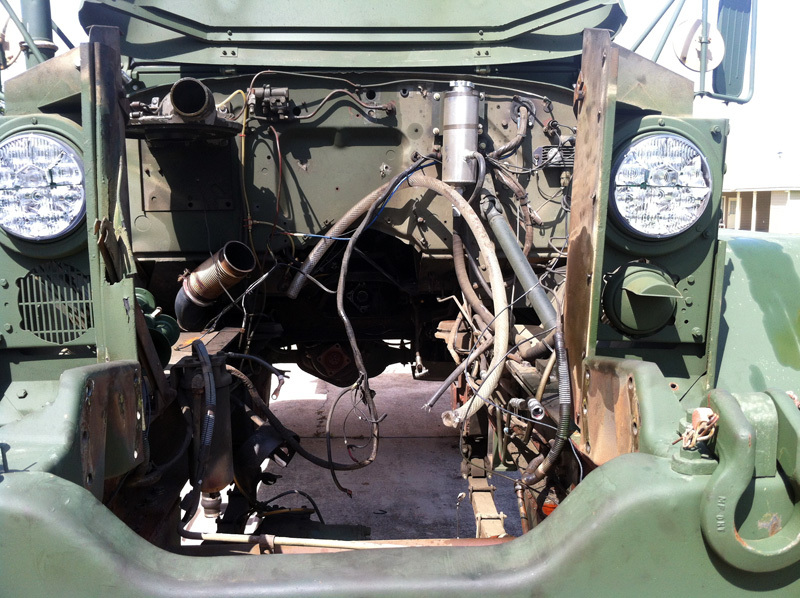 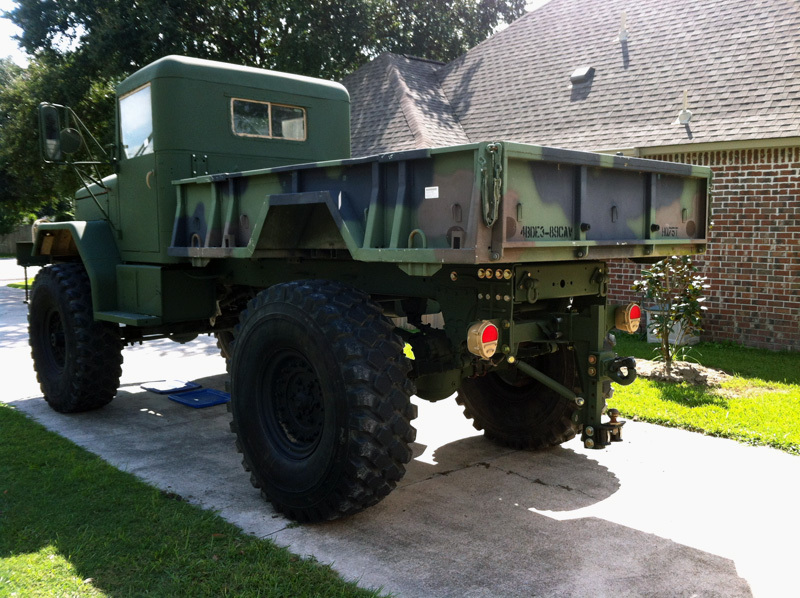 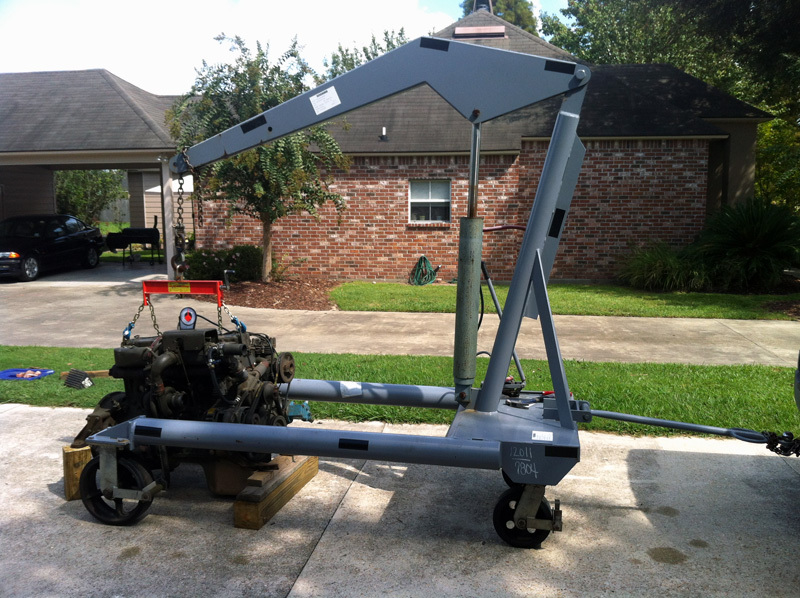 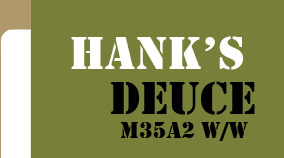 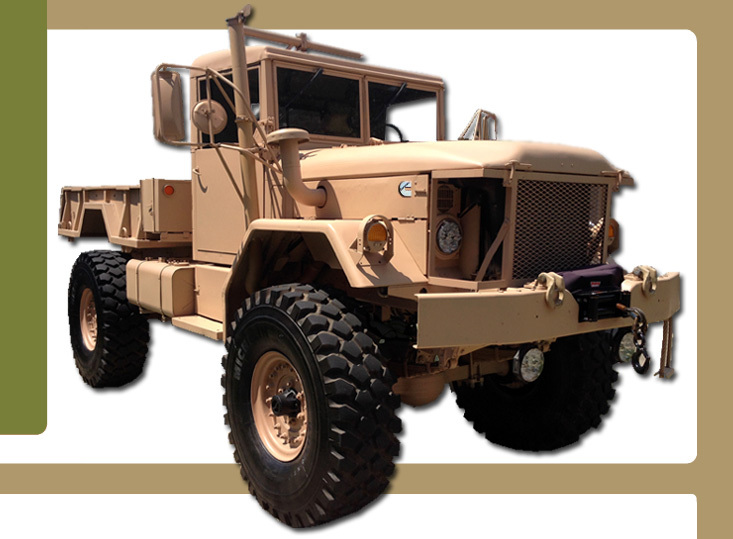 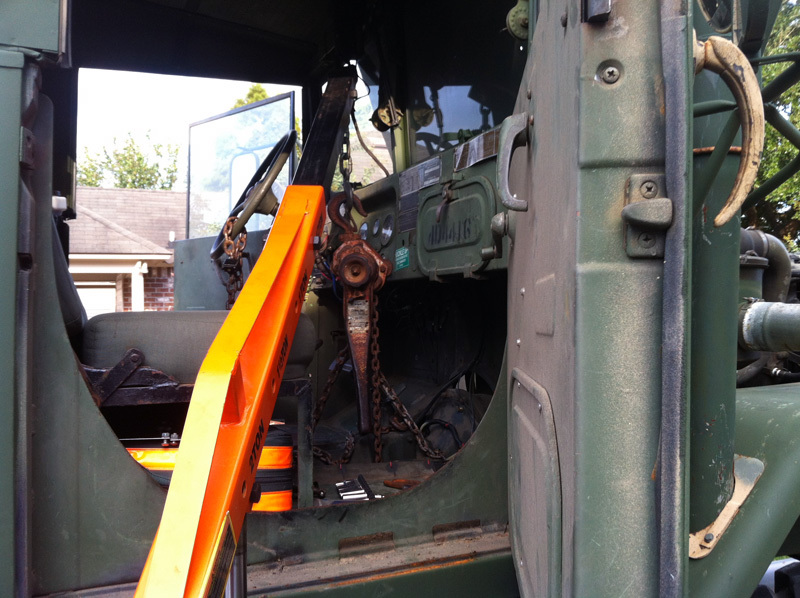 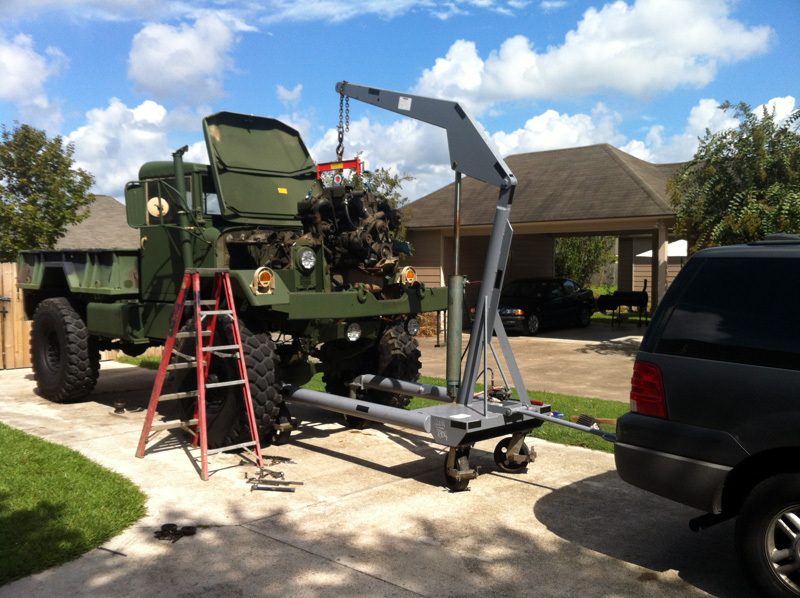 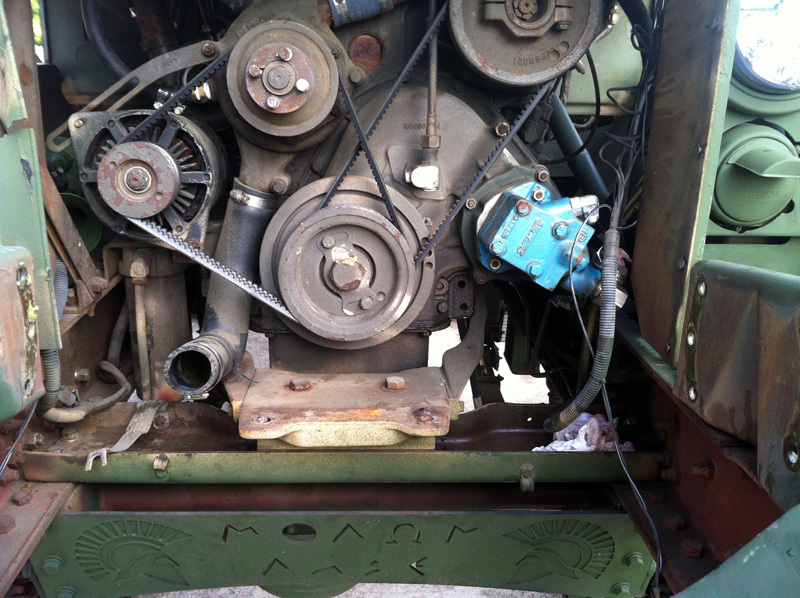 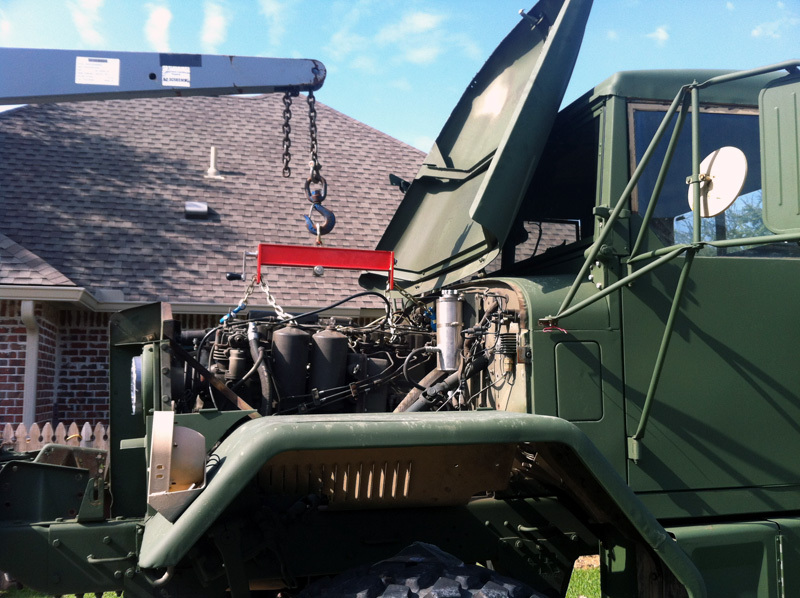 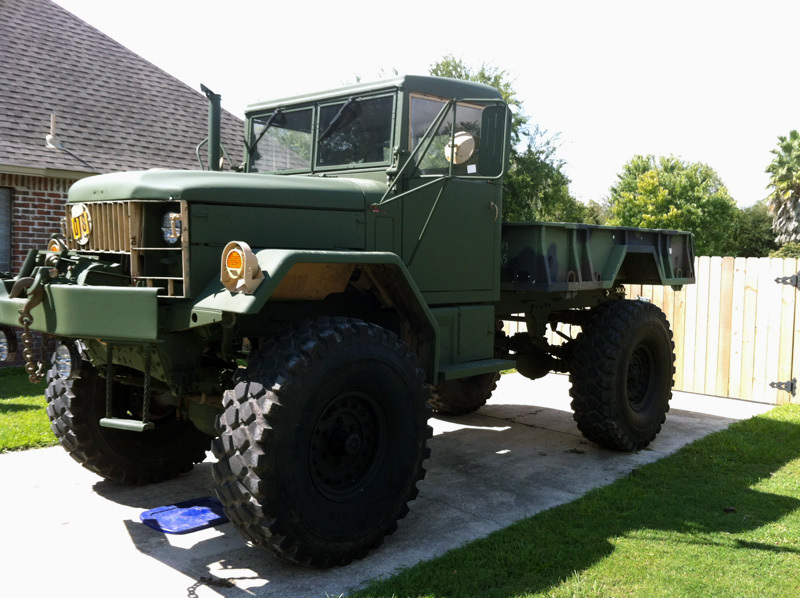 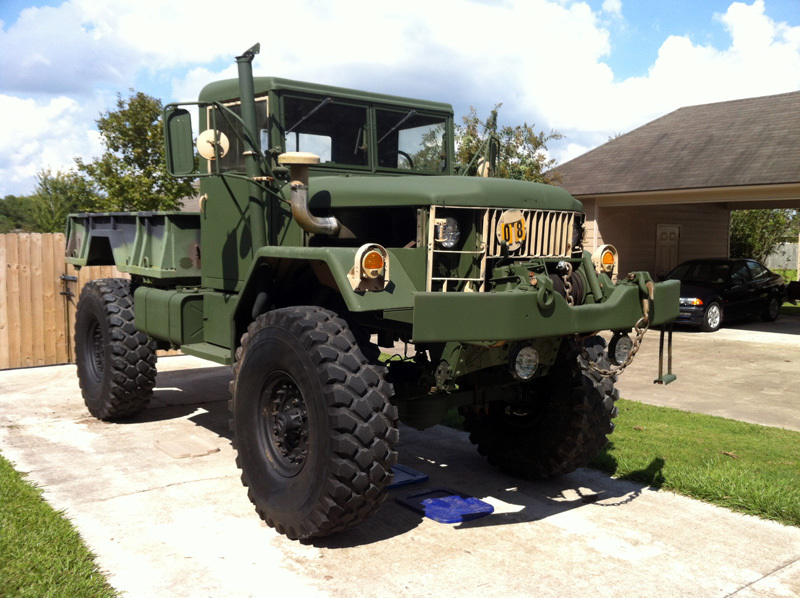 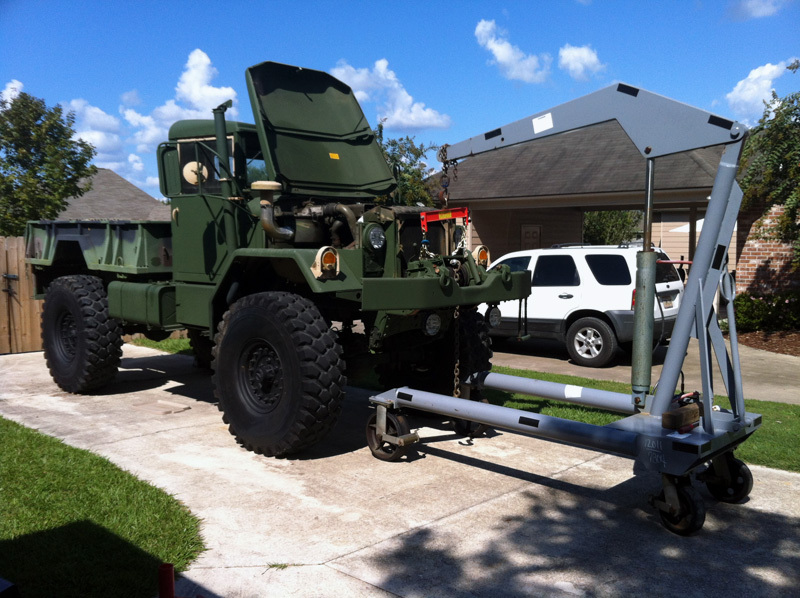 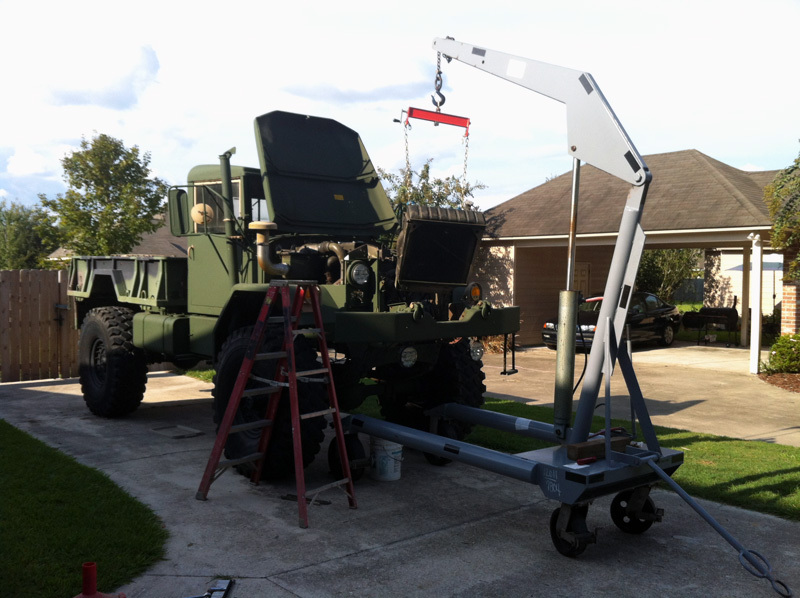 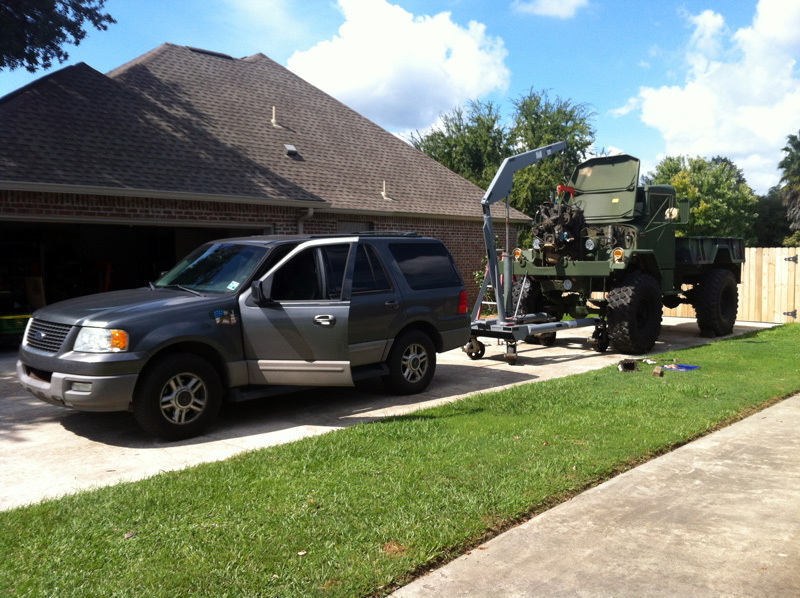 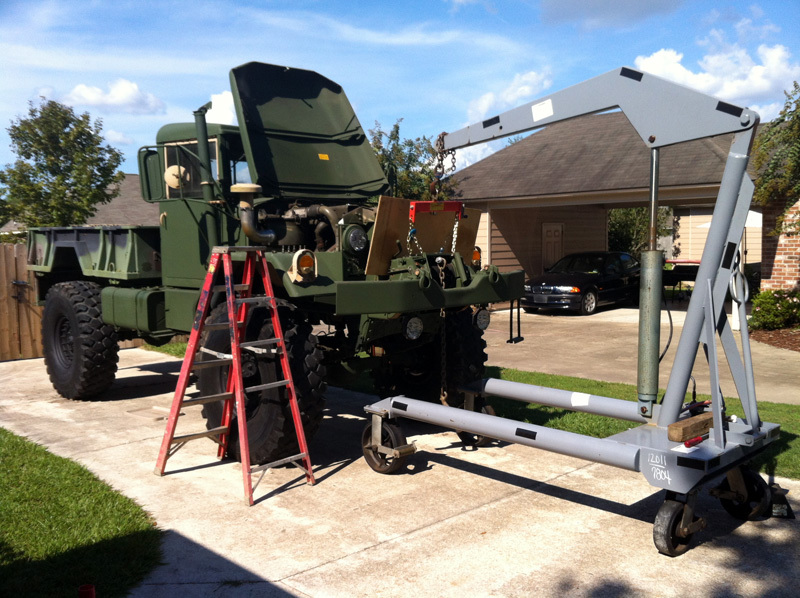 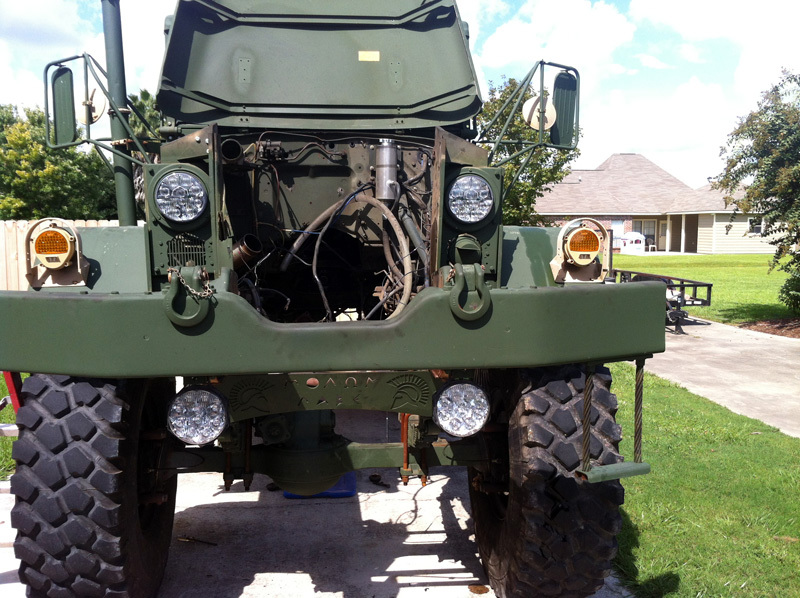 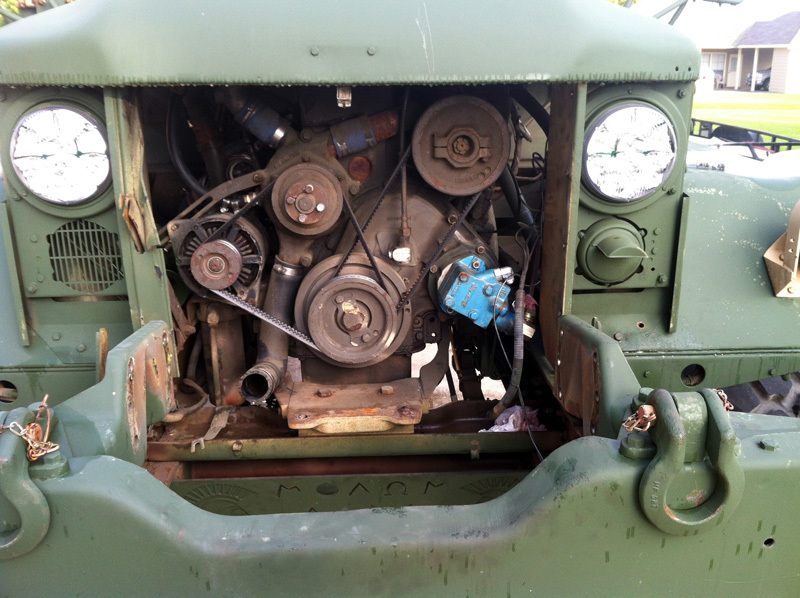 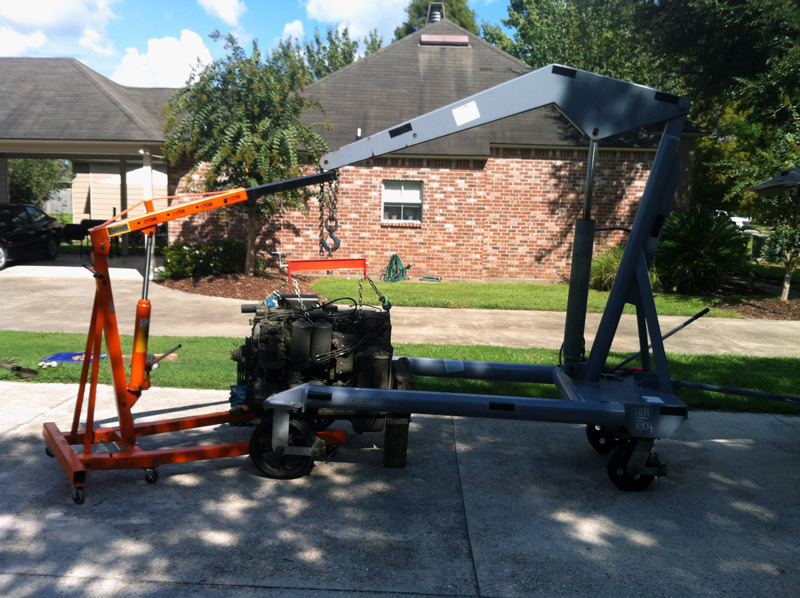 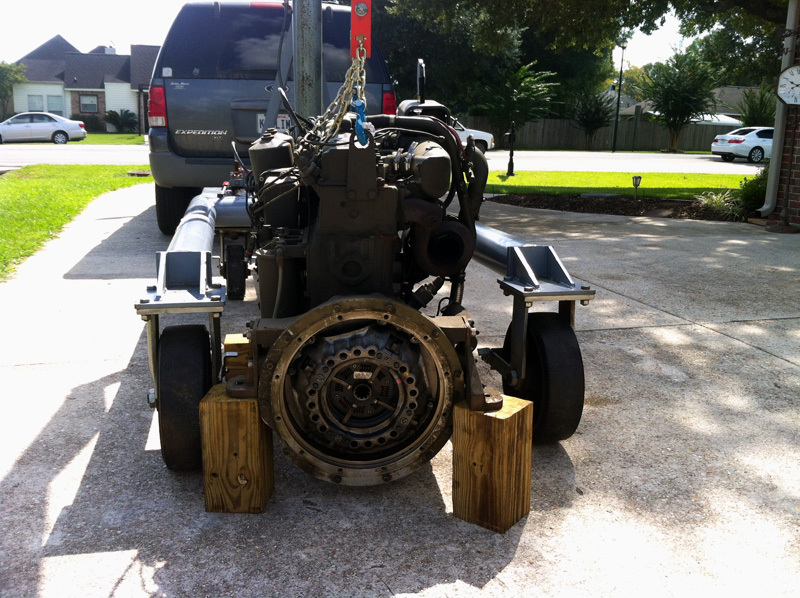 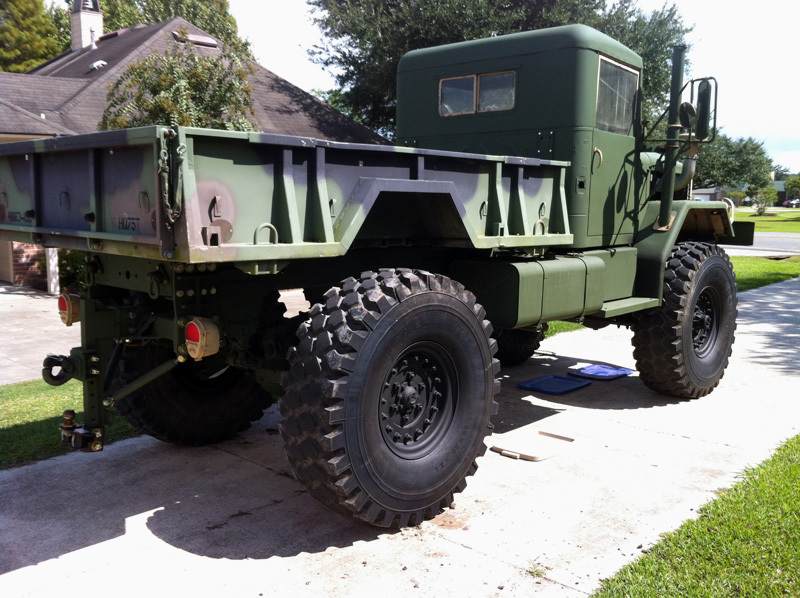 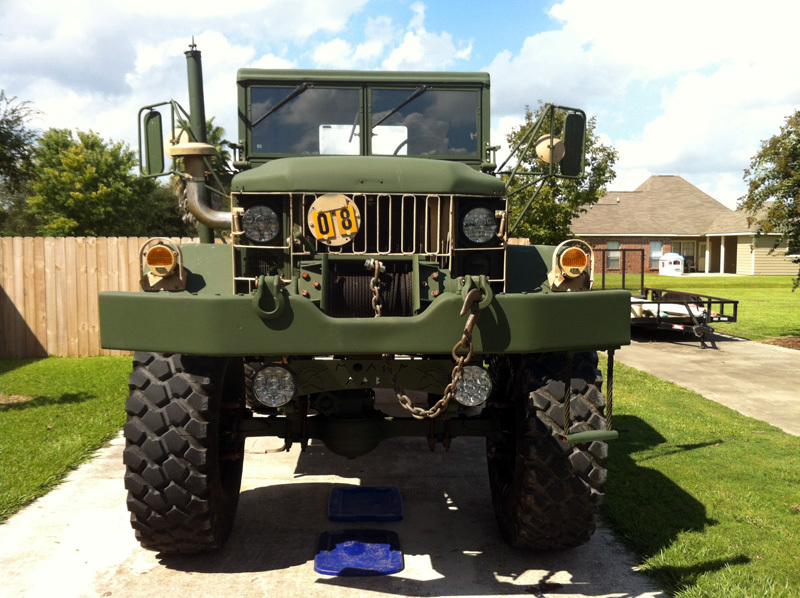 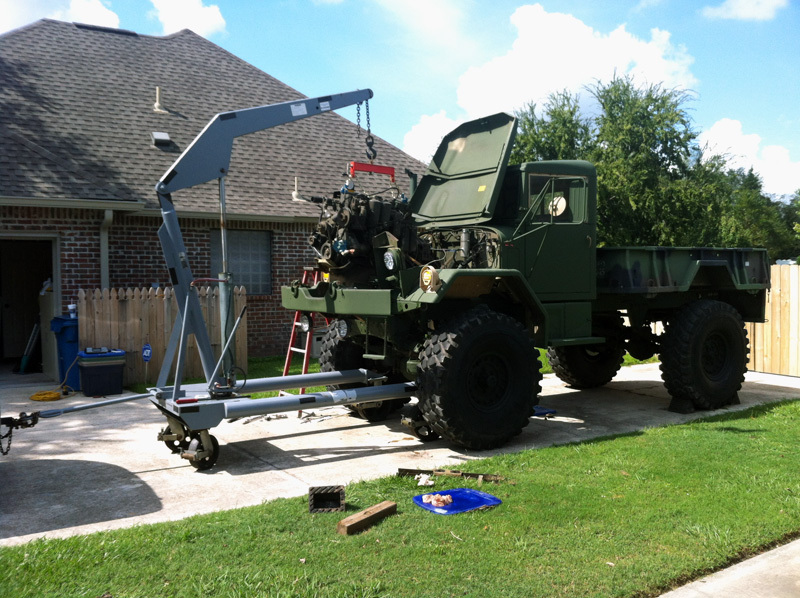 See the modifications page about the donor vehicle for more information on the replacement engine & auto transmission. 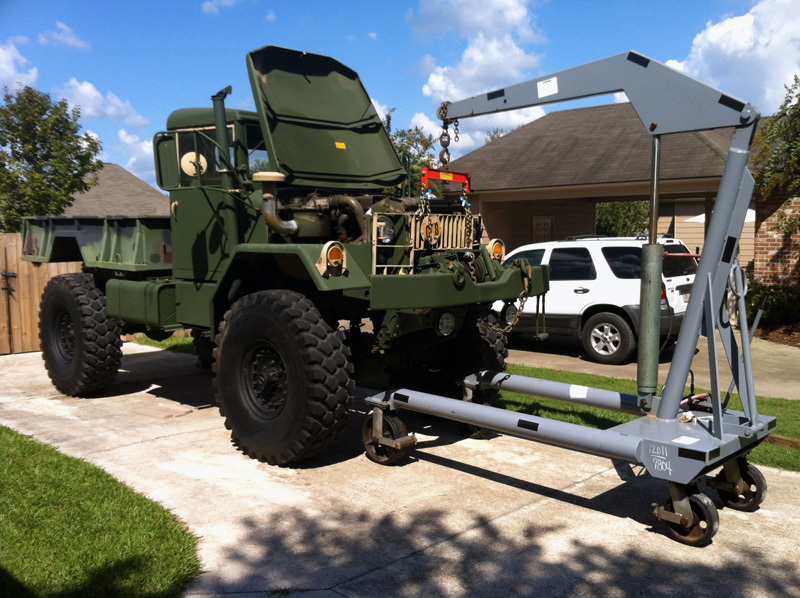 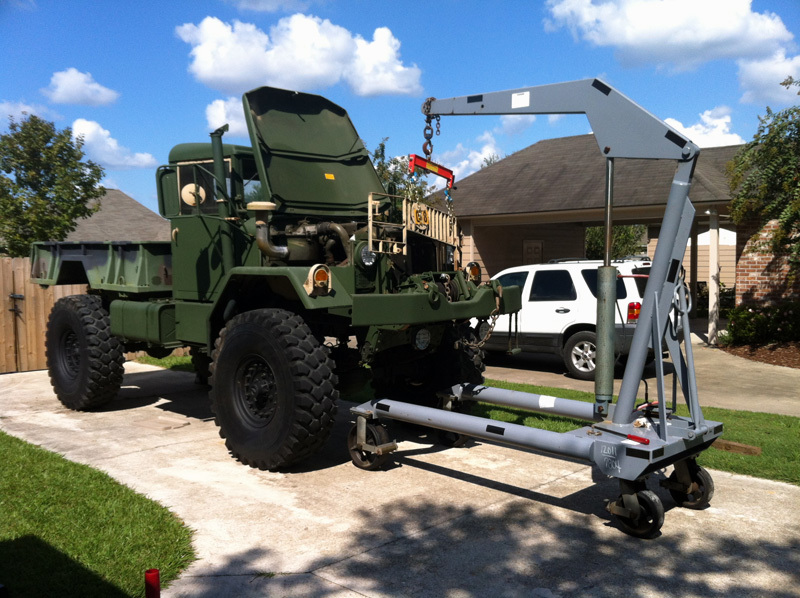 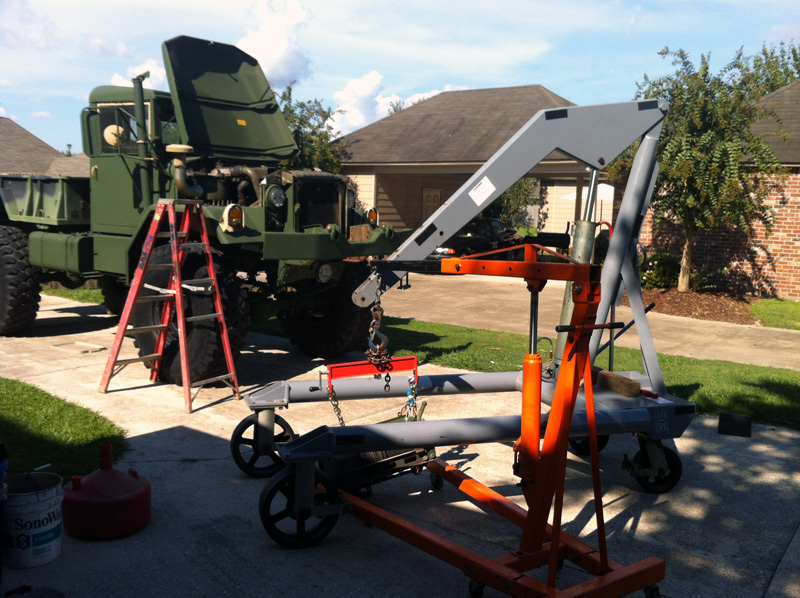 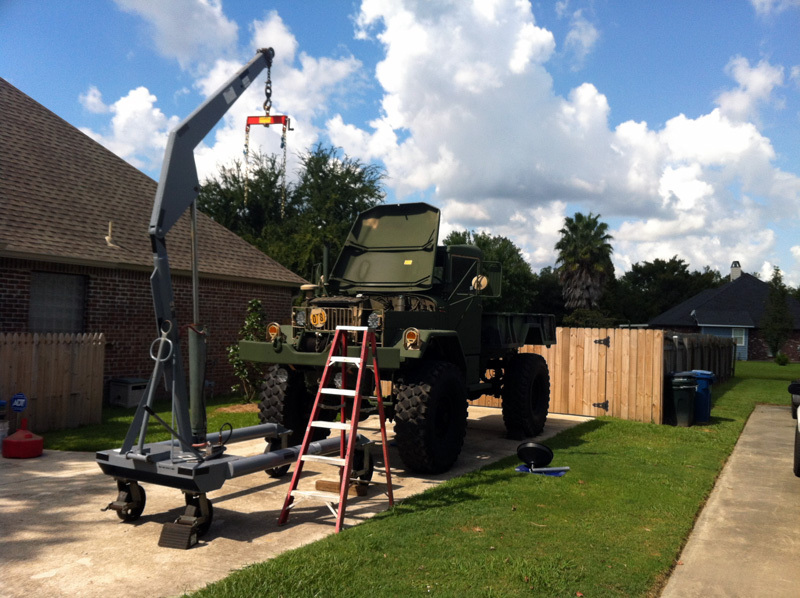 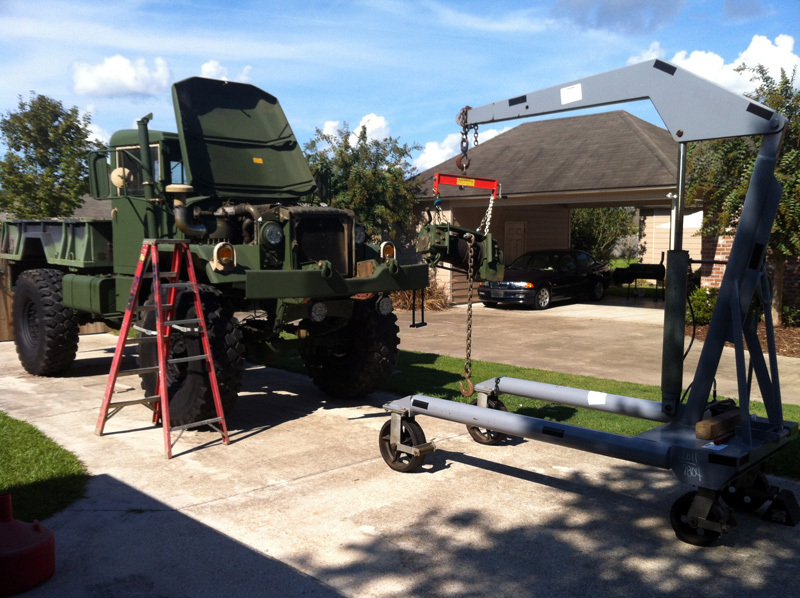 Thank GOD I bid on and won a 6000 lb capacity portable crane from a Government Liquidation auction at Hooks, TX. 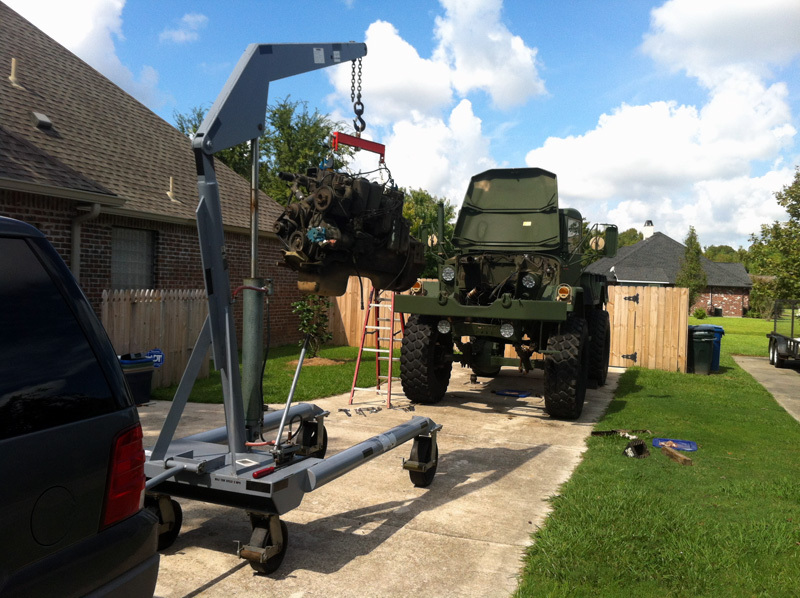 It helped me TREMENDOUSLY in removing almost everything from the deuce to prepare for the upcoming engine & transmission swap. 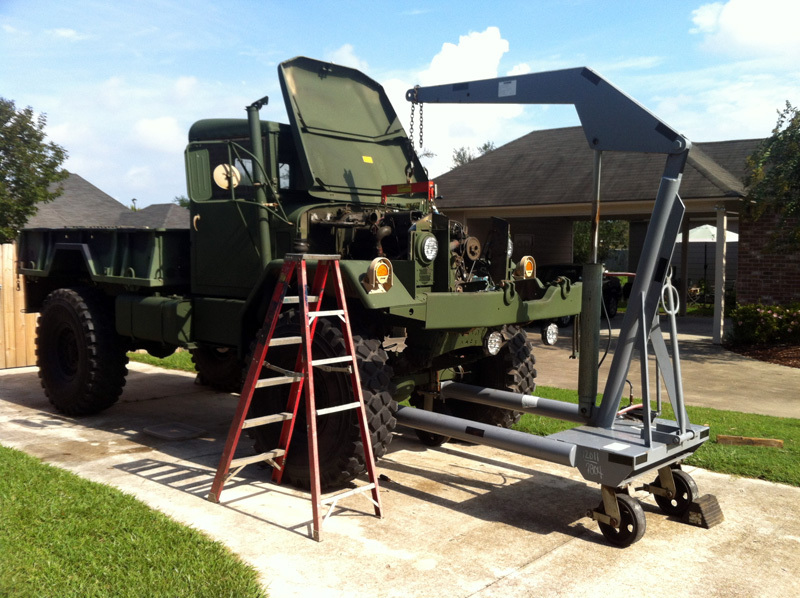 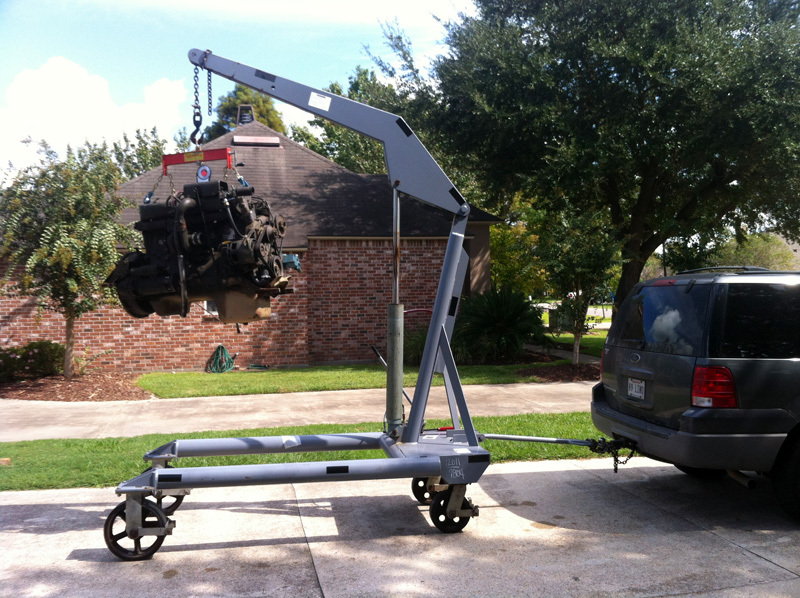 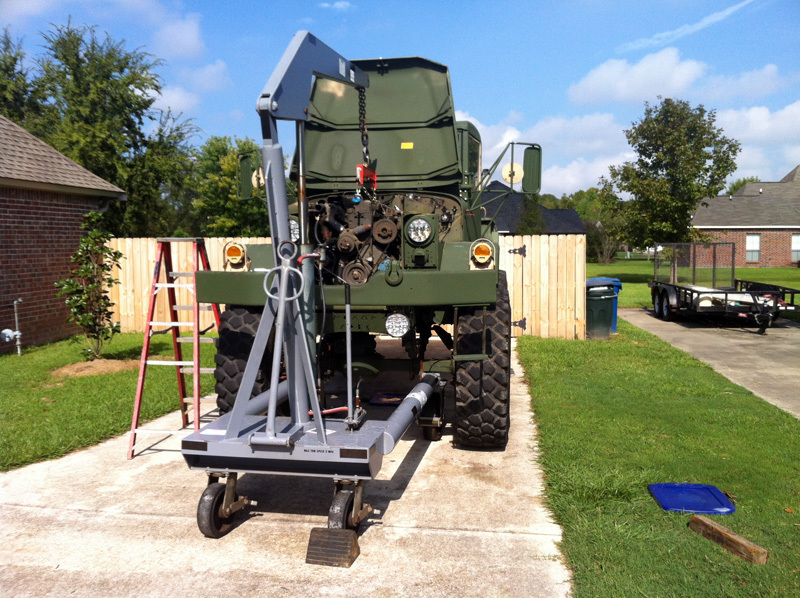 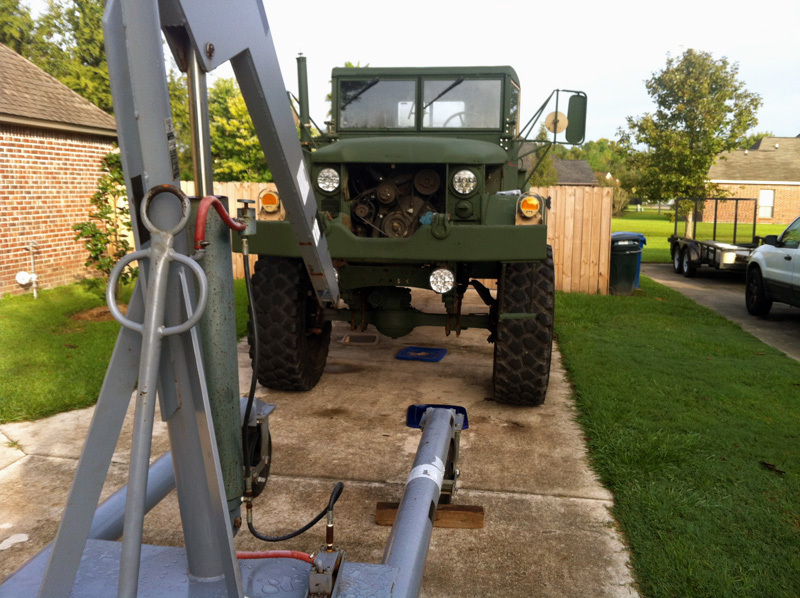 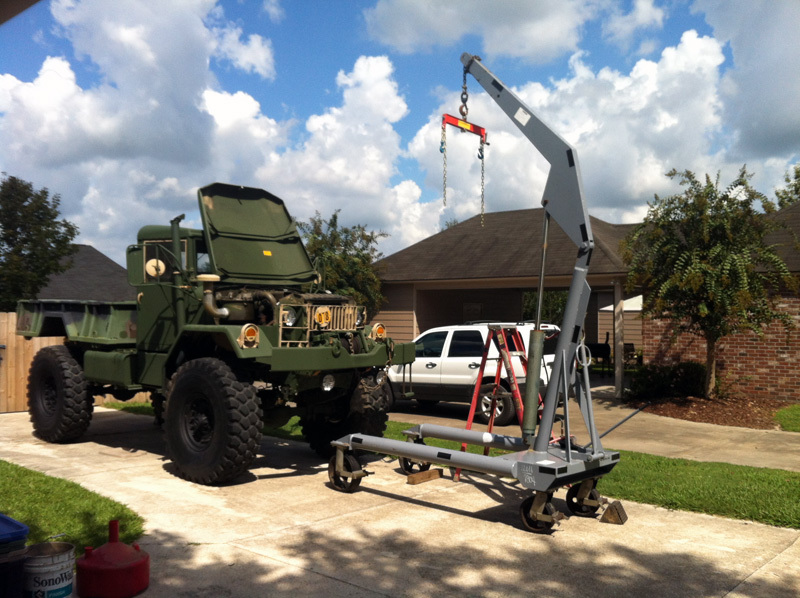 I also used my somewhat trusty Harbor Freight 2 ton engine hoist and load leveler.